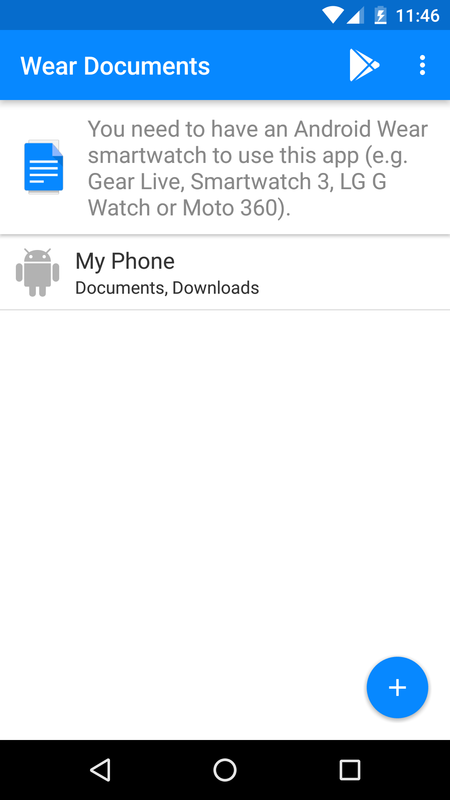 Have you ever wanted to view a document on your smartwatch? Don't lie. What, you have? Oh, well, um, now you can, all thanks to developer appfour. 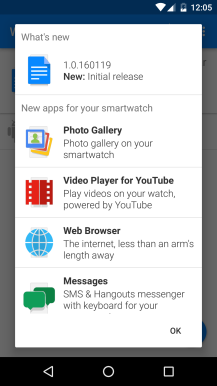 To lay your eyes on 1.3 inches of barely readable fuzziness, open the Documents app on your smartwatch. 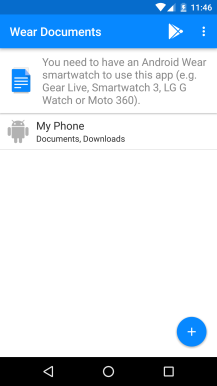 The app will pull the list of recently used documents from your phone. You can tap on any of them to get a fullscreen view (which ultimately doesn't amount to much) of the paper, slideshow, or spreadsheet. Some of you are reading this and thinking the whole idea sounds pretty awesome. 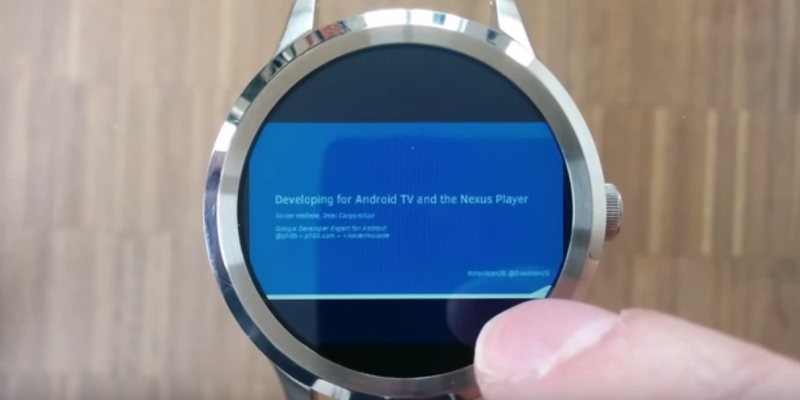 You probably already enjoy browsing the web, checking email, and watching YouTube on your watch. In that case, you're familiar with the work that comes from the developer of AIDE, and you have a decent idea what you're in for. Everyone else, we're talking about viewing a large document on a teeny tiny screen. You have an idea what you're in for too. 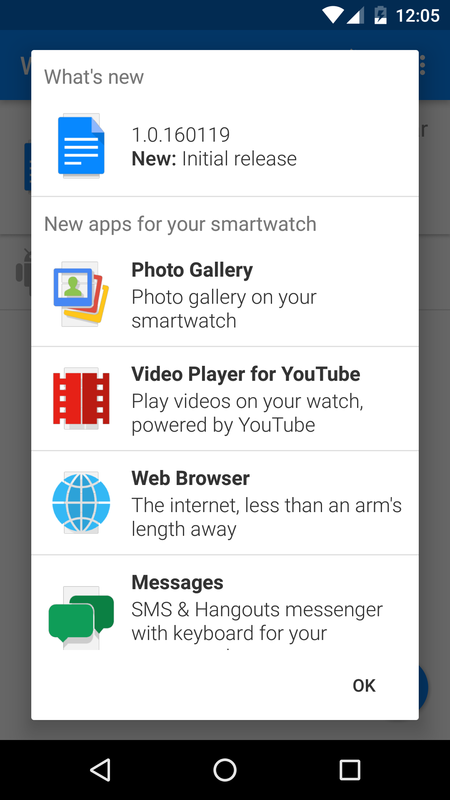 Documents for Android Wear integrates with some of the creator's other apps. For instance, you can share documents to Gmail without having to pull out your phone. Out of the box, this app only lets you view the first page of a document. 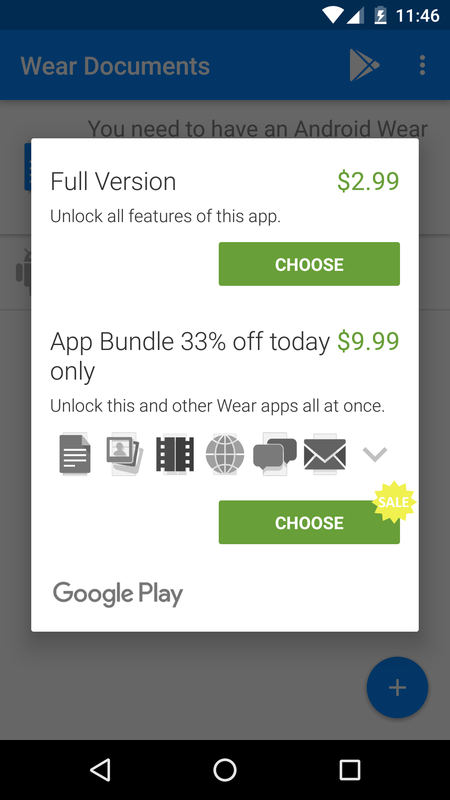 A $2.99 in-app purchase unlocks full functionality. 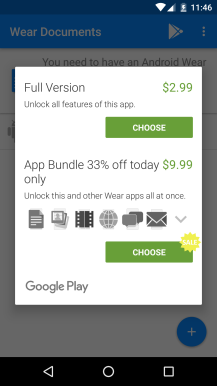 Right now you can get the full bundle of Android Wear apps you would download just because for $9.99. That's cheaper than grabbing them all individually if you love the idea of doing stuff your smartwatch's screen is too small for on a screen that's too small.